MAV - Live video of MAV18 keynotes now available! Live video of MAV18 keynotes now available! This email contains graphics. If you don't see them, view it in your browser. You can now access a recording of two keynotes from the MAV18 Annual Conference! Further keynotes will be available in the coming week or so. Whatever year you choose, you can usually find a country that is rethinking the maths curriculum. It may be as part of the regular planned reform which take place every so many years, like Japan. It may be because there is a dissatisfaction with international league table positions, or maybe because the political situation has changed, heralding a different educational philosophy or pedagogy. Designers borrow from countries they see as successful and to a large extent what goes around comes around. At Cambridge we are trying something different. We are designing a tool which will allow policy makers, designers of curriculum, resources, assessment and PD to benefit from the maths education research that has been done over the past years, to embed the affordances of technology to expose students to ways of working that weren’t hitherto possible, and to explore making that content relevant to the 21st Century. Come and see what we’re up to! 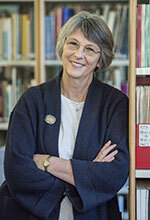 Lynne is the Director of Cambridge Mathematics, a University-wide programme bringing together the expertise of the University’s Mathematics and Education Faculties, Cambridge Assessment and Cambridge University Press to develop a research-based tool to design connected curricula, classroom tasks, assessments and professional development. In the Age of the Algorithm, mastering the foundations in mathematics has never been more important. To grapple with coding, or engineering, or business development or smart design, you can’t simply skip ahead: you need the scaffold of mathematics learned in sequence, in school. Yet mathematics has slipped from a prerequisite for university entry to a footnote in the prospectus, in course after course that depend on fluency in numbers - sending the wrong signal to principals and students. Too many university students are learning too late the reality that teachers have long understood. Mathematics is a prerequisite for success. It needs to be a priority in education - from day one. Australia’s Chief Scientist Dr Alan Finkel reiterates the case for a national commitment to the expert teaching of challenging mathematics. 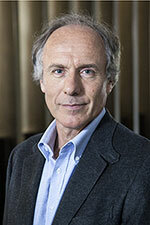 Dr Finkel commenced as Australia’s eighth Chief Scientist in January 2016. Prior to this, he was the eighth Chancellor of Monash University and the eighth President of the Australian Academy of Technology and Engineering (ATSE). As Chief Scientist, Dr Finkel has led the Review into the National Electricity Market (‘Finkel Review’) and the 2016 National Research Infrastructure Roadmap. He leads the STEM Industry Partnership Forum for the COAG Education Council and serves as the Deputy Chair of Innovation and Science Australia. This email is not monitored. Do not reply to this address.